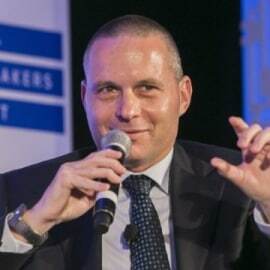 Izhar Shay is a Managing General Partner with Canaan Partners Israel. Izhar focuses on investments in Mobile, Digital Media, Internet, Communications and Software. He is a board member at Start A Fire, Drupe, Rollout.io, Algomizer (TASE: Algomizer), Viewbix and LiveU, and until recently he was a board member at Prime Sense, which was acquired by Apple, and N-trig, acquired by Microsoft. Izhar writes a weekly column in Globes, Israel’s leading financial newspaper, and is a frequent speaker on Israeli TV and Radio and in various industry conferences. He is the founder of “Start-Up Stadium”, the largest on-line community for high-tech entrepreneurs in Israel, with more than 38,000 members. Izhar was selected by Geektime as one of the top 100 influencers in the Israeli high-tech.